XDY-1 series Inverted fluorescent biological microscope is composed by Epi-fluorescent system and inverted biological microscope system, equipped long working distance plan achromatic objectives and wide field eyepieces. The switchable condenser system working distance is longer, suitable for observation in a high culture dish, which can be used in phase-contrast microscopy. The Epi-fluorescence microscope system is adopted modularization function design, to give the fast and safe adjusting of the illumination system, and switching fluorescence filters. 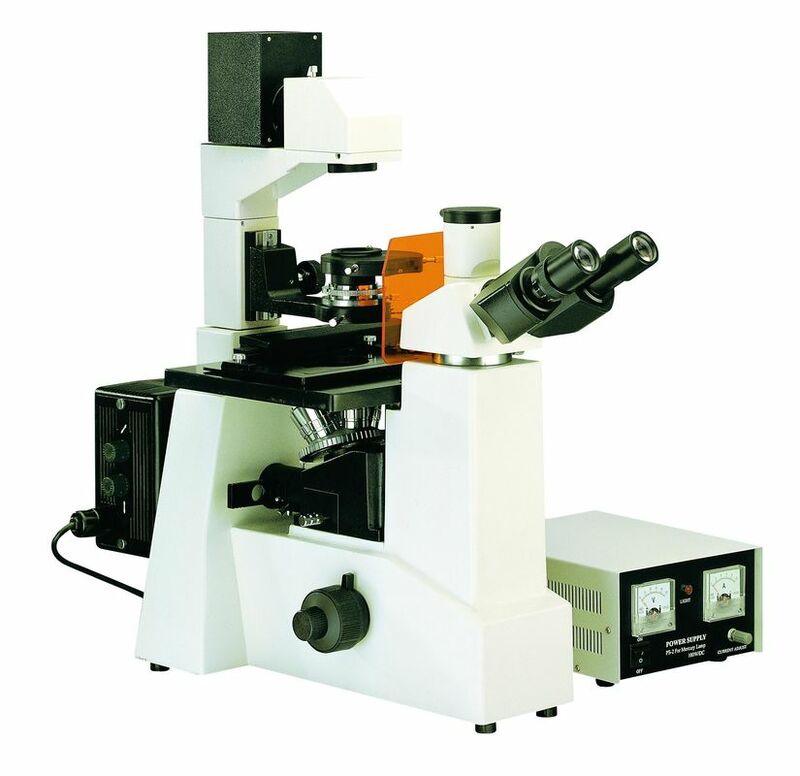 The XDY-1 series Inverted fluorescent biological microscope is an ideal optical instrument for micro observation in cell tissue and transmitted liquid tissue, even in dynamic observation in the culture dish tissue, can be applied in the fluorescence microscopy, such as biological pharmacy, medicine checking and measure, disease prevent and etc. Objective PLL 10X0.25 (Work distance):8.8 mm,(Cover glass thickness):1.2mm. PLL 25X0.40 PHP2 (Work distance):4.8 mm,(Cover glass thickness):1.2mm. PLL 40X0.60 PHP2 (Work distance):3.3 mm,(Cover glass thickness):1.2mm. Power supply unit, 110V or 230V for option. Focus system Coaxial coarse/fine focus, with tension adjustable and up stop, minimum division of fine focusing is 2μm.